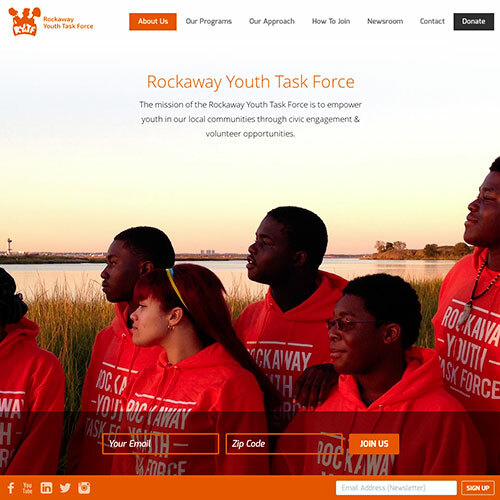 Rockaway Youth Task Force donors have the power to build tomorrow’s leaders today. Your support is essential to help us sustain our critical work. All contributions to RYTF are tax-deductible to the extent allowable by law. If you would like to donate by check or have any additional questions, please call (718)-868-0386 or email Tamera Jacobs, Director of Operations and Programs, at tamerajacobs@rytf.org. You are donating $ by Credit Card. You will be impacting up to with your donation! I'd like to make this a recurring donation to continually support Rockaway Youth Task Force. No thanks, a one-time donation is fine for now. Yes, please make this a monthly donation. Yes, please make this a yearly donation.